Nature art prints by Geraint Rowland. Cuban travel photography for sale. Peruvian surf image by Geraint Rowland Photography. Artwork and photography for sale by Linda Wisdom Photography. Sunset art photos for sale by Geraint Rowland. 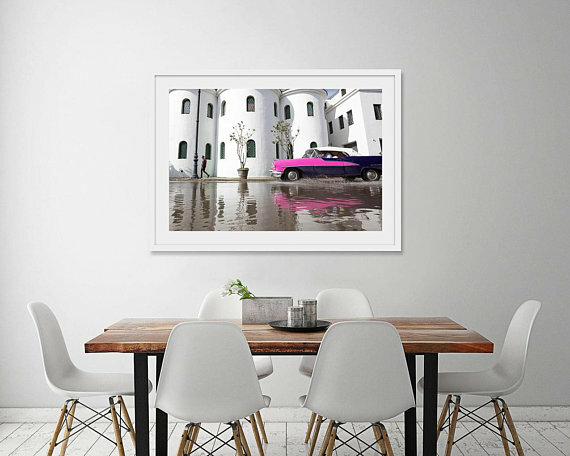 Cool Cuban Art work for sale by geraint rowland photography and Linda Wisdom Photography. A range of my travel photography is available via Linda Wisdom's Etsy shop including some of my abstract ocean images, my colourful Cuban car shots, photographs from Machu Picchu, and some colourful and cute photos from Senegal. Geraint Rowland is a travel photographer from Cardiff who is currently based in Lima, Peru. He has spent a large amount of time living and traveling in South America. He enjoys taking candid photography of people around the World as well as capturing the beauty in the nature. Linda Wisdom is a street photographer based in London. She takes beautiful timeless images in black and white throughout the streets of London. She runs Street Photography courses via Airbnb in London & Lisbon. Take a look at some of her street photos on Facebook.